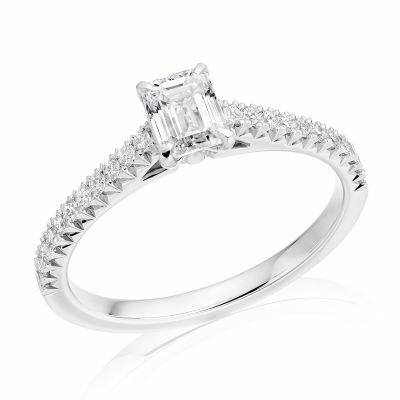 *With each diamond engagement ring purchase at Banks Lyon Jewellers, we are proud to offer 10% off our wedding rings. 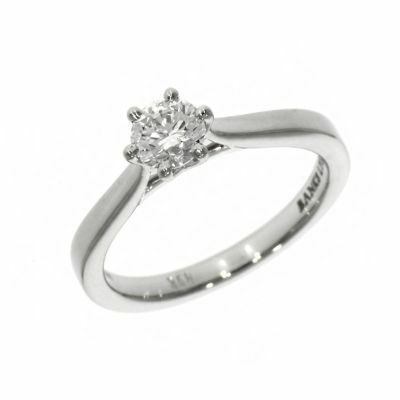 View our Buyers guide to Engagement Rings to see our full range. Diamonds have become intrinsically linked with themes of love. In antiquity, Cupid’s arrows were said to be tipped with flawless diamonds, and the idea of an ‘invincible’ diamond has been taken to symbolise an equally eternal love since as long ago as the Middle Ages. Historically, the first among the many subsequent diamond engagement rings was awarded by an Archduke to his fiancée in 1477. This represented a phenomenal investment at the time, and it is this same sentiment that has ensured that diamond-studded engagement rings have remained so sought after ever since. Diamond engagement rings remain the quintessential way to express love across the globe, and here at Banks Lyon Jewellers of Lancaster, we are committed to supplying only the very best in diamond rings. Our status as an established diamond merchant gives us an especially wide range of expertise in this area, and our diamond engagement rings conform to a vast array of designs. We offer diamond rings in a choice of high quality yellow, rose and white gold materials, and we also specialise in a substantial collection of platinum diamond engagement rings, for those who are looking for something a little different. A diamond proves its symbol of love, strength and commitment by virtue of its history; commemorating such through its name, derived from the Greek word adamas, translating to “unconquerable”. When choosing a ring for your engagement, you are maintaining a long-standing tradition to signify a couple’s commitment. Diamonds specifically were used in the late 1400s, in a time where the precious stones were reserved for the likes of royalty and the upper elite class. Today, the special and sacred values live on with the beauty, strength and rarity of diamonds in engagement buying as a resonating representation of resilience and longevity of marriage. To create the full bridal set, we have equally impressive collections of diamond jewellery, including necklaces, earrings and bracelets; make the special day even more memorable and give the gift that will hold meaning for many generations. Many people appreciate different cuts of diamond, and at Banks Lyon, it is always our priority to cater for such preferences. Our rings, including our platinum diamond engagement rings, use a bewildering array of stone cuts, including brilliant, pear, phoenix, radiant, cushion, asscher, emerald and princess cut varieties, and these diamonds are mounted in cathedral or bezel settings to ensure even more choice. Not all of our diamond engagement rings are solitaire designs, and we are also pleased to stock cluster rings, or even pieces that combine diamonds with sapphires to create an especially eye-catching aesthetic. Find the perfect engagement ring with a truly radiant collection of fine metals and precious stones that will hold some of your most cherished memories. As one of the most important factors of the proposal, choosing the ring needs a great deal of attention to detail, thoughtful consideration and planning. 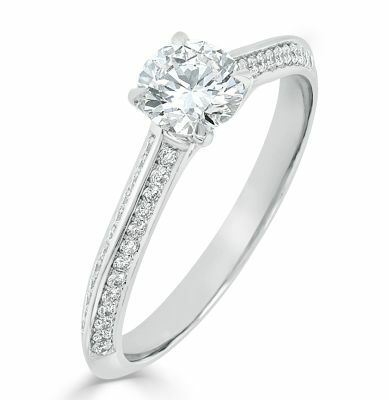 At Banks Lyon Jewellers, we are dedicated to helping you find the ring that says everything you want to and more. Why not recreate your engagement with our truly magnificent collection of diamond rings? The diamond is also the stone associated with the sixtieth wedding anniversary and would make for a beautifully sentimental gift to your partner to celebrate the sharing of the relationship for those treasured 60 years. We know that engagements and weddings involve purchases of all kinds and to make it easier for you, we offer a range of ways for you to buy your diamond engagement ring. With our 0% finance option, you can make monthly repayments on all qualifying purchases. Simply choose from any new piece over £500 and secure this with a deposit starting from as little as 10%, following a payment plan to suit you ranging from 12-48 months. If you would prefer you can purchase at your convenience online, or in our Lancaster or Kendal showrooms. 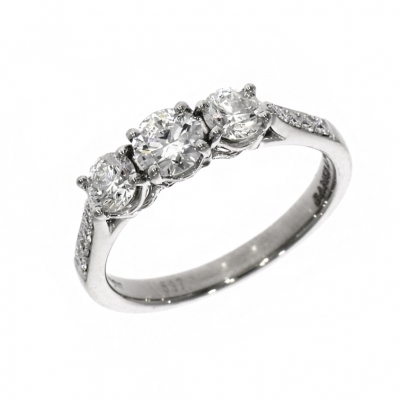 Our enormous quantity of diamond engagement rings has been selected to contain a design to suit every taste. Sometimes a particular demand leads us to broaden our range, as was the case when the popularity of our platinum diamond engagement rings became apparent, but for more specific requests we also supply bespoke jewellery design services that allow you to purchase a one-of-a-kind ring. Because of our decades of experience and unblemished reputation for superb customer service, you can be sure that any ring you buy from us will be entirely authentic in nature. So please feel free to contact us if you would like to talk to our professional team and we can help you to purchase the perfect piece.